Nestled between the 3rd St Promenade & Montana Ave just blocks from the Ocean this luxurious Townhome offers a desirable Santa Monica lifestyle. A spacious 3bd, 3bth with a dramatic, light filled living room with 20+ ft ceilings, double sided fpl & surround speaker system. Its recently remodeled chef's kitchen boasts SS appliances, wine fridge, Travertine stone counters & Island opens to formal dining to engage & entertain. Gorgeous Brazilian cherrywood flrs throughout w/ Travertine entry. 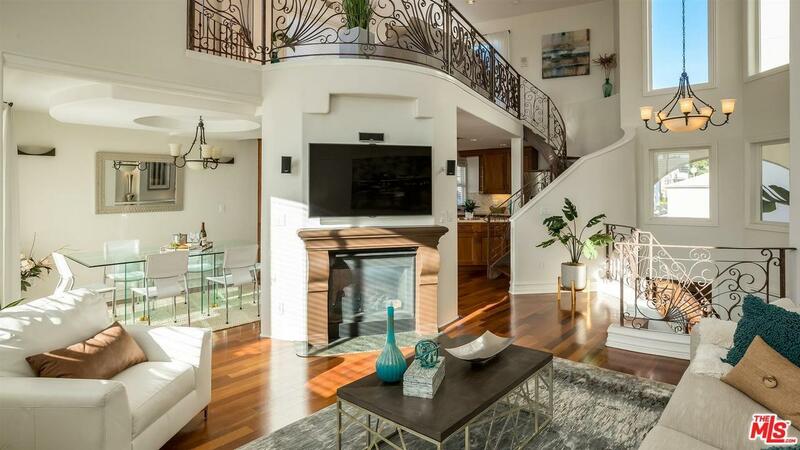 Above the living room rests an enormous loft/den w/ balconies on either end. Escape to the oasis 3rd bdr & bath on the top flr flowing to a large terrace w/ fantastic Santa Monica views. The private & serene Master suite offers a beautifully remodeled master bth w/ seperate shwr & claw foot tub. Off the 2-car, direct access garage is sdxsd W/D, ample closets as well as a large storage cage off garage plus a subterranean wine cellar. Excellent walkability to ocean, shops & restaurants.